Kadu is one half of superstar Zouk duo "K&L". We had the pleasure of having him in Toronto last year. 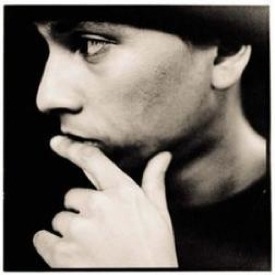 On the side, Kadu also makes simple remixes of very emotionally moving tracks for Zouk-Lambada dancers, though his techniques and rhythmic structures are simple and often disruptive to the musical flow. Still, he is an awesome dancer and we tip our hat to him! DJ Yen (aka Jean Goh) is a dancer and DJ from Singapore. 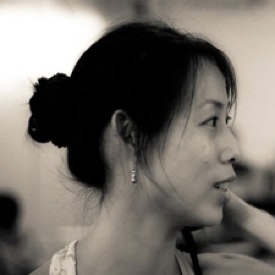 She runs 'Two Left Feet' Dance School along side her partner Wendy Yee. The two of them are largely responsible for popularizing Zouk in Singapore with their excellent classes and their MCBZ nights (anything but salsa!). Within the last year DJ Yen has produced some beautiful Zouk remixes with gentle beat structures. 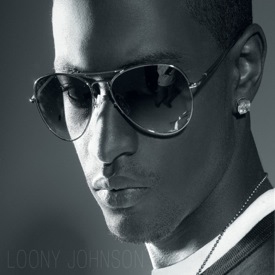 Loony Johnson is part of Sushiraw Entertainment. 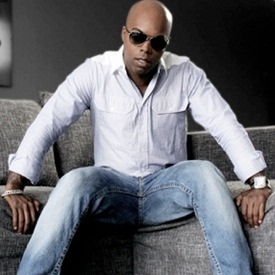 He was found by Kaysha in a Portuguese club (Luanda) and recorded 'Angel'. We love his songs such as 'Crazee' and 'Let's Make it Happen'. His songs are melodic and moving -- excellent for dancing. You will find his music is used in many instructor demos on Youtube such as one with Pasty and another with Leonardo Neves. Mika Mendes is Junyan's favourite artist; his voice is like milk and honey. Check out the list of songs below to get a taste. He joined Sushiraw Entertainment in 2008 (with Kaysha) and produced his first album 'Mika Mendes' which has at least 4 or 5 awesome hits. He was born to Cape Verdean parents in Nice, France. Thank you Mika Mendes for all the music you give us. Nelson Freitas is one of the most famous Cape Verdean artists and producers in the world. Raised in the Netherlands, he began honing his art at a very young age. 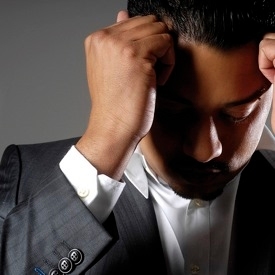 His music is a fusion of Kriol, Engish, R&B, and Zouk giving it a unique rhythmic flavour. His current hits among Brazilian zouk dancers is 'Deeper' and 'Rebound chick'. We (at Mazouka) love the feel of his music. Based out of Miami, he is a multi-faceted artist that both dances and produces music. He and his wife and partner Lais Lopes are travelled instructors, having given workshops all over the world. Almost every zouk dancer has heard one of Nyx's remixes at one time. He is part of the elite group of Zouk Night Love DJs that have been responsible for many amazing Zouk remixes. 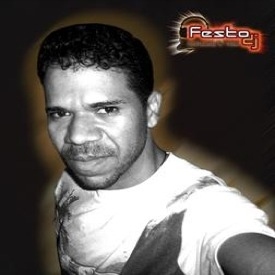 Anselmo Ralph is an Angolan artist who makes some of the best danceable Zouk tracks. In 2006/2007 he came out with his incredible albums "Historias De Amor" [Love Stories] and "As Ultimas Historias De Amor" getting him nominated for Best African Artist at the European MTV Music Awards. Now in 2011, he has a new promotional album A Dor do Cúpido. 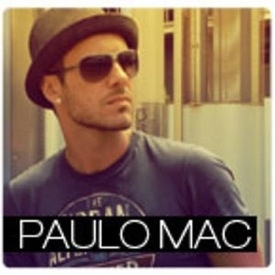 Paulo Mac is amazing. His career began in 2006 but his music is some of the most soulful R&B similar to that of D'Black. He is from Rio de Janeiro, and is very well known in the zouk scene there. He performs mostly in concert halls in Brazil. Check out his songs and let us know what you think. Specifically 'Vontade de Amor' and Mais que Prazer'. In 2000 he graduated from a DJ program from Estacio de Sa University. Upon discovering Brazilian Zouk as a music and dance form, he decided to use his talents in DJing to produce some of the most enjoyable Zouk remixes to date. Our favourites are 'Better in Time' and 'Wicked Game'. 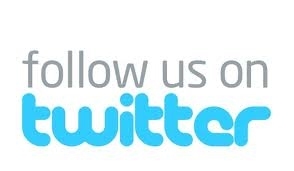 Check out some samples below and let us know what you think! At age 40, he is still a German pop icon from his time with the band Söhne Mannheims. His powerful voice is oftedn accompanied by an undulating current of one instrument in particular (be in the piano, guitar, etc.). Listen to his music! He is serious business. In Toronto, you will hear his songs affectionately referred to as 'German song 1', 'German song 2'. Kaysha is hands down one of our favourite artists and you will likely hear one if not two of his songs at most of our 'Zouk Me' Tuesday nights. He is from the Republic of Congo and is the CEO of Sushiraw Entertainment. 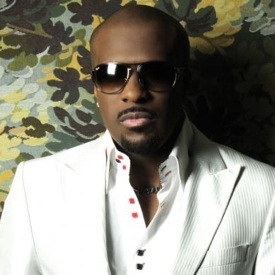 Kaysha has a very distinct voice that pulls at heartstrings (kind of like Romeo from Aventura). Kaysha will be in Toronto on October 8th giving a concert. 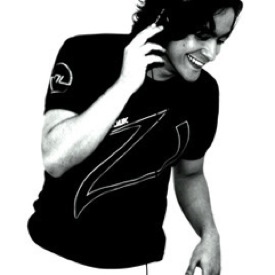 Mafie Zouker is likely the most well known Zouk DJ in the world and the founder of Zouk Night Love. He has created fantastic remixes which are popular among zouk dancers for both social dancing and performing. As a dancer, he is the founder of 'NeoZouk', the style of zouk danced to more trance-like music and characterized by a combination of continuous, intricate patterns. Born to a family of Cape-Verdeans, Márcia began singing at a very young age. At the beginning of her career she produced a Soul album alongside German producers that never was released, prompting her to give up singing. Instead, she returned to her roots and in 2006 came out with her first CD 'Márcia'. In Toronto, Márcia's most-played songs are 'Vida' and 'Unica'.